How would you travel in style? Well, when you are one of the wealthiest men in Sarasota you travel every way possible; by boat, by train and by automobile, at least when your last name is Ringling. Mr. John Ringling is accredited with much of the success of the tourist industry we have today in Sarasota. When Mr. John 1st arrived in Sarasota he pulled into the dock at City Pier in front of the most undesirable Sarasota Yacht and Automobile Club with his 83-foot steamer, “Wethea”. At a later date he purchased the Club and built the Sunset Apartments. His next indulgence on the sea was the 110-foot “Vidoffner II”, which was destroyed by a fire in 1920 while docked in Tampa for repairs and taking on fuel. While leasing the “Pastime” from John Wanamaker, he was inspired to design the 125-foot yacht “Zalophus”, which was said to have cost $200,000. Unfortunately, this opulent yacht was lost at sea. Supposedly the yacht struck something in the Gulf of Mexico. Not to worry Mr. John was not a loss of beautiful transportation, he had is automobiles to take him back and forth. The first of his collection was bought in 1920. It was a Rolls-Royce Landaulet model, built in 1914 for the czarina of Russia, who was not able to take possession because of the Russian Revolution. Two more Rolls-Royces were to follow. And he did not leave the love of his life to meander the streets on foot; she was to travel in just as much style in her 1923 Pierce Arrow. However the pride of his travel collection was his private railcars. 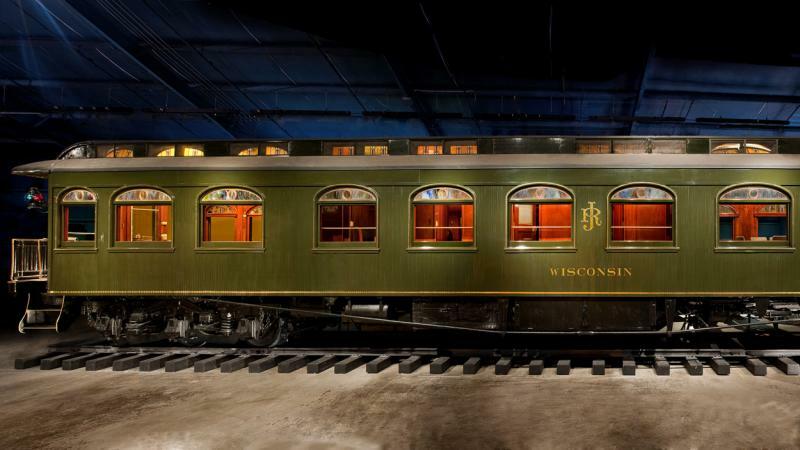 Personal railcars were the rich man’s status symbol during the Gilded Age. 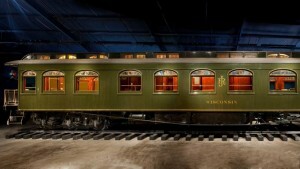 The first private car, dubbed the “Wisconsin”, for the state Mr. John’s family moved to, was delivered in 1905. This railcar has been completely refurbished and can be seen in the Circus Museum on the Ringling complex grounds. Built in 1917 and more than 80 feet long, the “JOMAR” was the prize possession of Mr. John Ringling. The rear door opened on to the observation deck adorned with 8 wicker chairs, ceiling fans, bookcases, cabinets and an extension sofa. The rest of the car was outfitted with a guest bedroom, Mable’s state room and John’s larger state room. The end of the car housed the servant quarters and a kitchen to prepare the delicious meals they enjoyed on their journey. When the railcar was in Sarasota it was parked on the rail spur that jutted into Sarasota Bay from Strawberry Avenue close to City Pier. Unfortunately, after the death of Mr. John, his nephew came in inherit the car and was badly vandalized and is now awaiting restoration. No matter where you are going remember to do it in style!